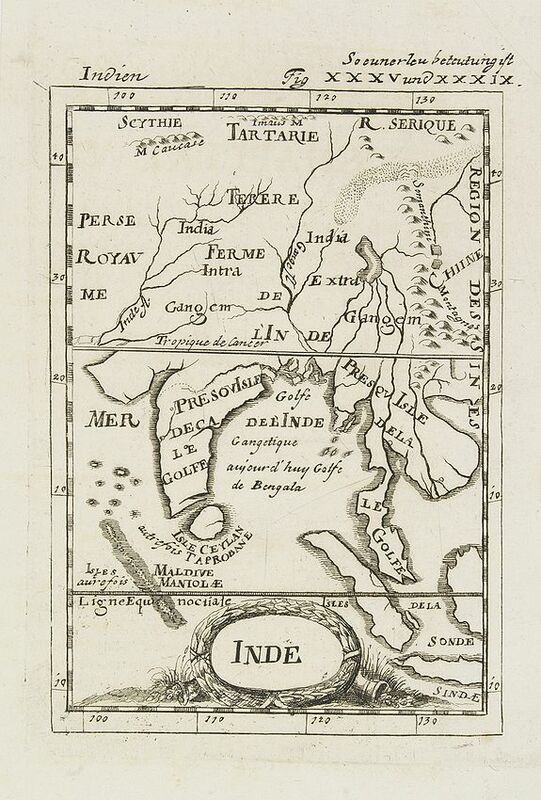 Description :A charming late 17th century French map of India, Malay Peninsular with a decorative title cartouche. Condition : Very slight offsetting of ink. Good condition.